LANCASTER – Sixteen students from four high schools will face off tomorrow in a Jeopardy-style competition focusing on African American history. 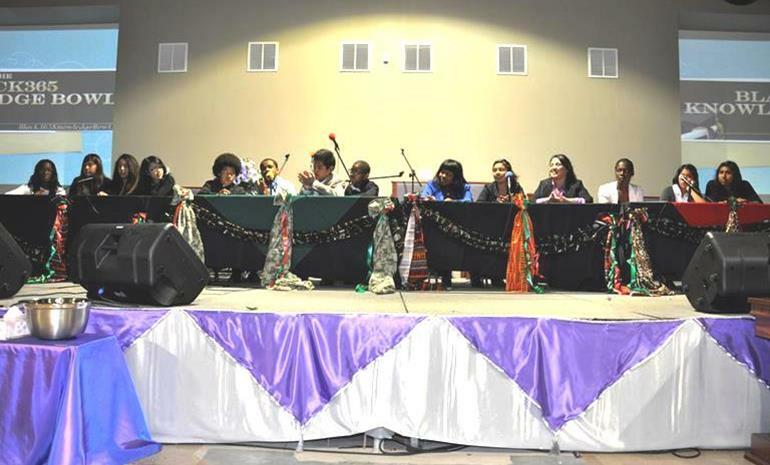 The fourth annual Black365 Knowledge Bowl kicks off at 2 p.m. Saturday, March 1, at Zoe Ministries, located at 44339 Beech Avenue in Lancaster. The event is free and open to the public, and attendees are asked to park and enter from the rear on Cedar Avenue. This year’s competition will feature students from SOAR High School in Lancaster, Quartz Hill High School, Antelope Valley High School and Animo Locke High School in Los Angeles. The atmosphere will be lively and the action fast-paced, as the students “buzz in” to answer 101 questions on various topics in Black history, including Great African Leaders, African Flags, Political Prisoners, Famous Lecturers, and Black Organizations. This year’s Black365 Knowledge Bowl is sponsored by Brown’s Tender Loving Day Care; Cedric Age of Ace Realty; the Antelope Valley Black Chamber of Commerce; the NAACP, Antelope Valley Chapter; Zoe Ministries; Joe’s Professional Tax Services; CreamLaShea.com; Itibari Zulu of Revolution Financial Management; and many others who care about young people and positively impacting the community. Sponsorships are still welcome. For more information on how to sponsor this event, contact organizer Jamaal Brown at jamaal@jamaalbrown.com. SOAR High School reigns again at Black Knowledge Bowl competition!